FoolProofMe - Should You Get Your Kids a Debit Card? In properly equipping your children for the minefield of financial decisions in front of them, I'm sure you introduced a piggy bank, a savings jar, and the like. But have you considered a teen debit card? 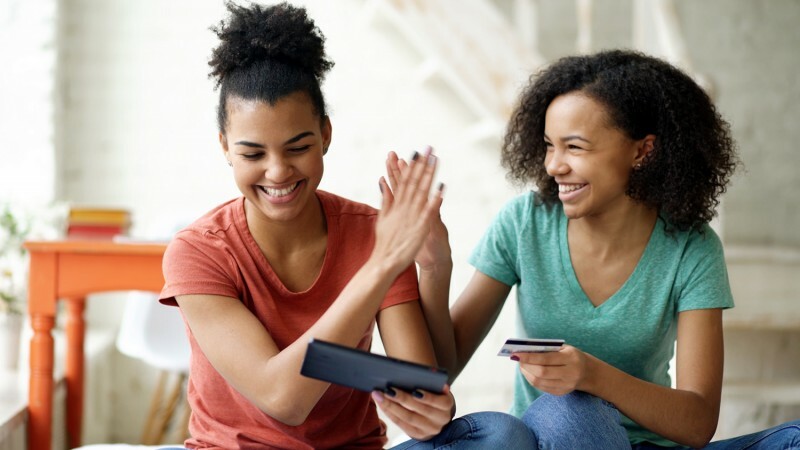 You can make a teen debit card an important step in building your kids' lifelong spending habits. But the teaching is up to you! A debit card for your kids! Great. And that's what a lot of companies think you should get right now, too. And those companies are offering you cards with parental controls: Apps to track kids' spending, set spending limits, block certain stores, or even block whole categories of purchases. Short answer: If you use that debit card as an important teaching tool about money management and the dangers of impulse buying, you're doing your kids a favor. You can use that card to help teach them the lifelong habits of caution and healthy skepticism when it comes to spending decisions. But if you hand that card over like a piece of candy, you'll be hurting your kids instead. You're enabling them to become impulse buyers. What's wrong with impulse buying? But here's the problem, and the truth: Name me one company that doesn't encourage impulse buying! We believe businesses in general—and the debt industry specifically—love debit cards for kids, because they hook kids on plastic and they hook kids on quick spending. And like credit cards, debit cards have never met a purchase opportunity they didn't like. You already know this, but your kids probably don't: Speed in spending is not your friend. Speed in spending dulls the senses when it comes to the most important money lesson: When you spend, you're just burning money as surely as you light a match to it. It's gone, and the good opportunities that money may have given you are gone, too, if you didn't spend wisely. And spending with plastic can quickly seem like spending with play money, if your kids don't think—especially if you're the one putting the money on that plastic. So, how do you teach respect for that debit card? Let your kids know that a debit card is a budgeting tool, not a license to spend. Whatever money goes on that card, should come with some guidelines: "Part of this has to pay your school supplies and clothing. Part of this has to go into your savings. And a part of it you can play with. So, how do you plan to burn your money?" Have a conversation like that. Don't put a dime on the card that your kid hasn't personally earned. "Earning" means having done something of value, whether it's having a birthday or mowing the lawn. And remember that savings jar? Get it out! Many kids barely realize change is money. Make a point of asking the kids each week how much money their change jar can add to their debit card balance. Teach your kids that money isn't limitless. You can do this with simple conversations: "You want to buy those shoes? Okay, but then you won't have that money when you go off to school. You want to catch a movie? Okay, but, then you don't have money to buy that game you wanted." Teach your kids to postpone spending decisions. And be relentless with this lesson. "Why don't you think on that for a day or two?" can help cool a kid's ardor for an impulse buy. And when the impulse passes, commend your kid: "Hey, you still have that money! Not a bad feeling, is it?" Don't quickly bail out your kids when they run out of money (which will happen.) Have you ever worried about over-spending? Already know that overspending can hurt? It's healthy for your kid to learn that lesson. When you decide it's time to get the card: Whichever card you get, always set up automatic savings as a monthly feature on that card. Saving without thinking is a whole lot better than spending without thinking. Hey, it's like choosing a diet! Tons of options, and it's hard to know which one is best. But if you spend a little time doing research, you will find the better card. Beware of fees and service charges that come with these cards. Monthly service fees will (probably) apply, but also the less obvious inactivity fees, for instance. Consider a regular debit card issued on your checking account. Could be cheaper, and give you nearly as much control. Look closely at any kid card's parental controls. Are you seriously going to pay attention to your kid's transactions? If you are, great. If you're not, these controls are worthless. Look at the card's privacy settings. Does the company share your personal and financial information? Are you allowed to modify those settings? You want that option. Don't "impulse buy" this potentially valuable teaching tool. Do your homework! Here's a great way to remind you of the importance of teaching your kids the right debit card habits. Work through FoolProofMe's Impulse Buying Guide yourself. See how much money you may be throwing away in impulse buying in your life. And if that's unnerving for you, why not then work through the Impulse Buying Guide, question-by-question, with your kids? Let us know if this article helped, and good luck!